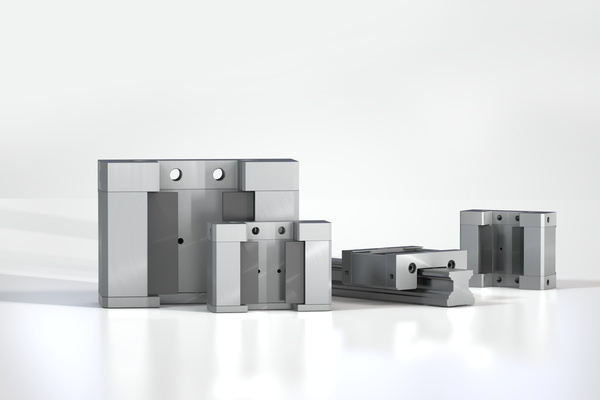 LOCKED SLK - Clamping Elements - Safety Products - Products - ACE Controls Inc.
Small can clamp perfectly too: the LOCKED-Family SLK clamping elements are more compact than the SL range. 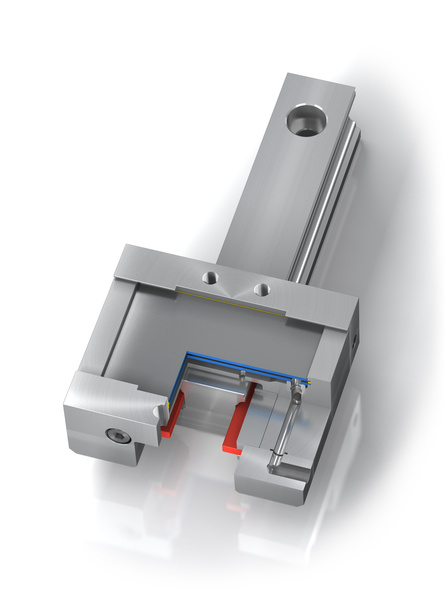 They also clamp directly onto the respective linear guide, suit all standard rail sizes from 15 mm to 55 mm and profiles from most suppliers and are extremely reliable and safe. 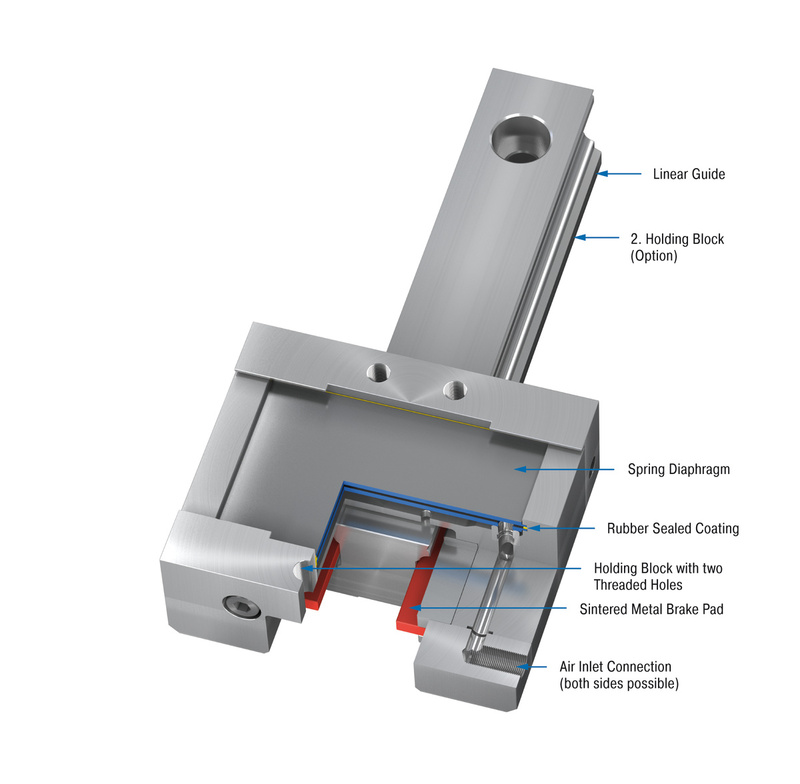 With a patented spring steel plate system, the product family SLK achieves clamping and holding forces of up to 472 lbs (2,100 N) with the shortest reaction times when vented. 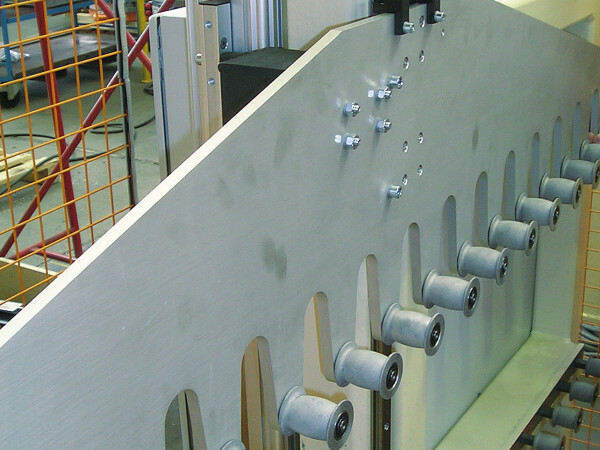 Thanks to the sintered metal coatings and the clamping function in emergency stop (e.g. in case of a power failure), this range enables braking directly on the rail. All clamping elements offer the maximum holding and braking forces and achieve up to 1 million clamping cycles or up to a maximum of 500 emergency braking operations in the 58 to 87 psi (4 and 6 bar) version. LOCKED SLK are used in automation and machine building and customized mechanical engineering.